Readers: please remember me when you have some good nature photos; I’ll receive them with alacrity. 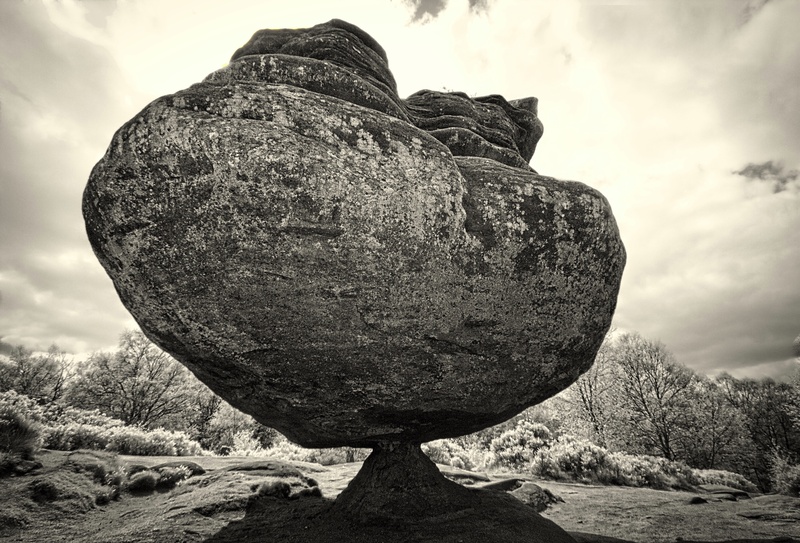 Today we have lovely flower photos (and one rock as lagniappe) from a new contributor: Alan Clark from Liverpool. His Flickr account is here and his words and IDs are indented. 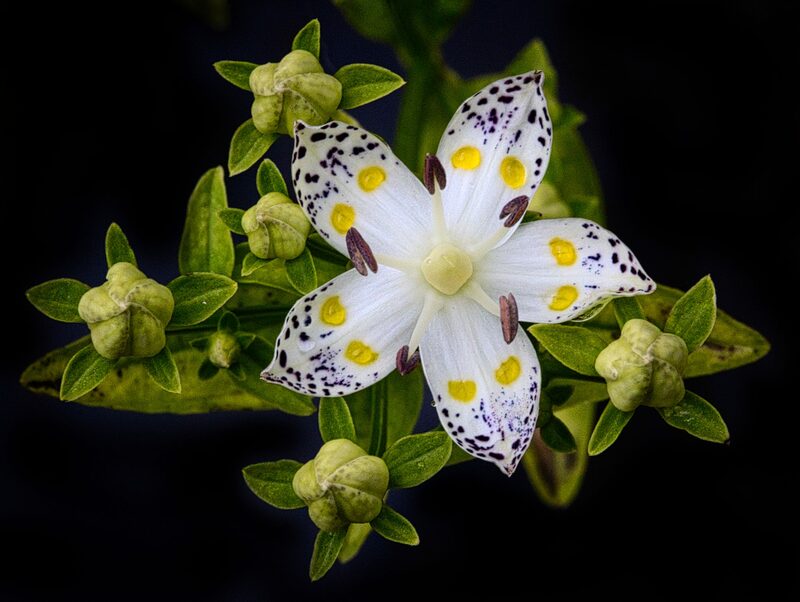 Swertia bimaculata comes from temperate regions of eastern Asia. The yellow spots are the nectaries. English Bluebells, Hyacinthoides non-scripta. Half of the world’s bluebells grow in the UK. It has been voted England’s favourite wildflower, by a clear margin. Stapelia glanduliflora, native to Southern Africa but this one was in my greenhouse. I used image stacking to maximise the depth of field on this photo. Stapeliads are pollinated by carrion-feeding flies and have the most amazing flowers – Googling will reveal many more. 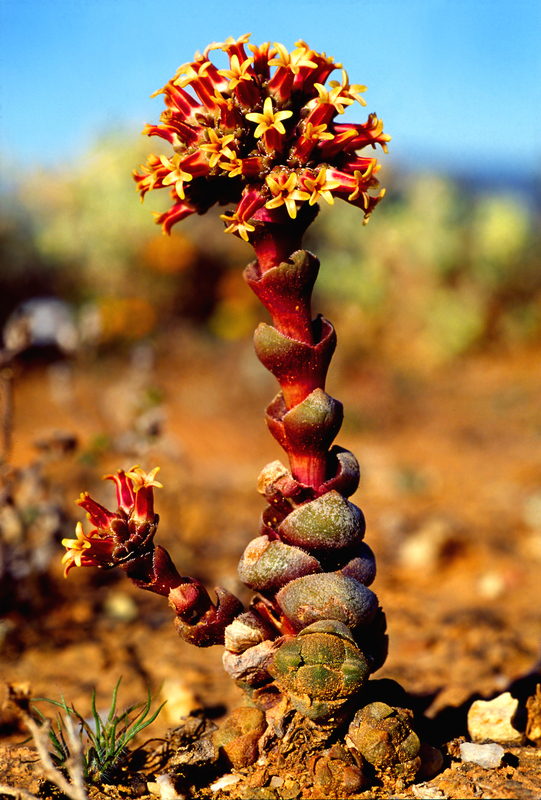 Crassula columnaris, which I photographed in Namaqualand, South Africa. Magnolia blossom. Photographed in Infra-red (so the colours are false), which renders the blue sky behind it very dark. 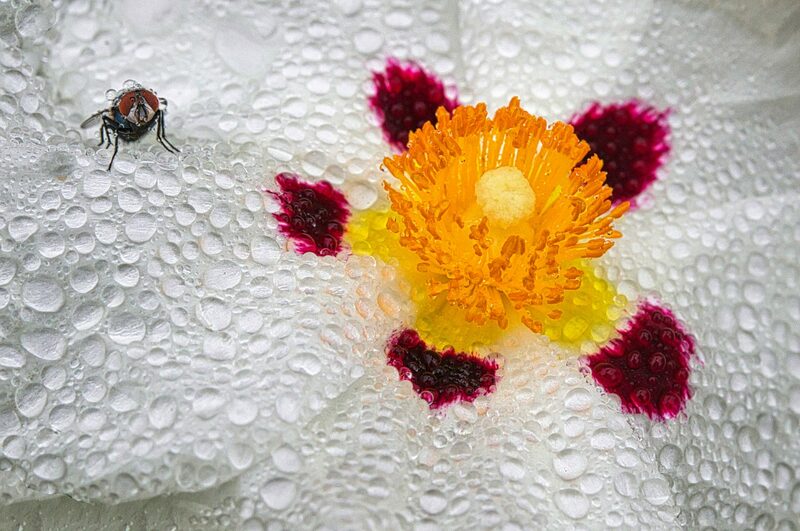 A fly on Rock Rose (Cistus) in the rain. 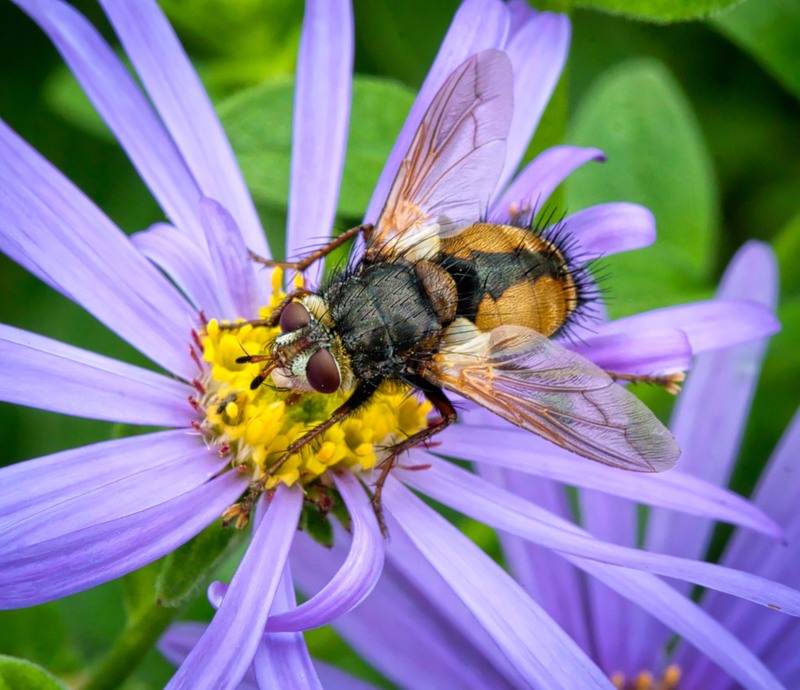 Tachina fera. The larvae are parasitoids of caterpillars. This entry was written by whyevolutionistrue and posted on October 7, 2018 at 7:45 am and filed under photography, plants. Bookmark the permalink. Follow any comments here with the RSS feed for this post. Both comments and trackbacks are currently closed. Wonderful work–each one is more beautiful than the other, and visa versa! Unfortunately the British bluebell is threatened by the Spanish hybrid hyacinthoides x massartiana. Just beautiful! 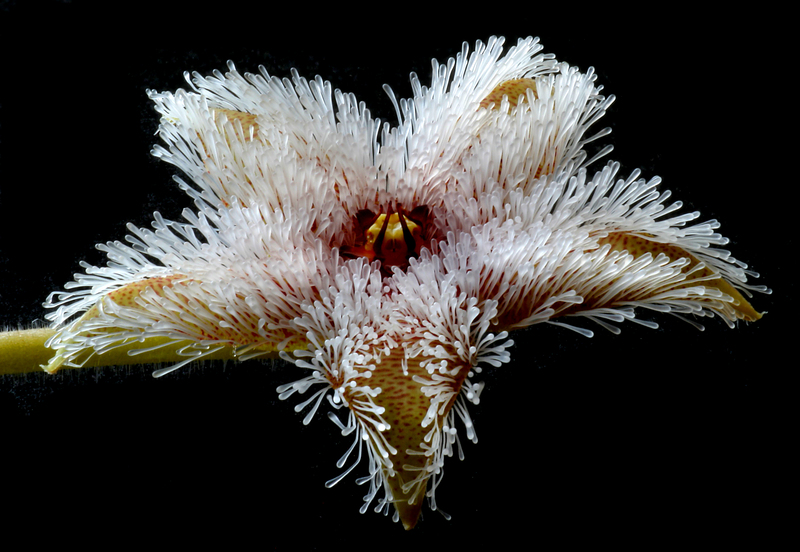 I’ve never seen anything like the Stapelia glanduliflora. It almost looks like an underwater sea creature. 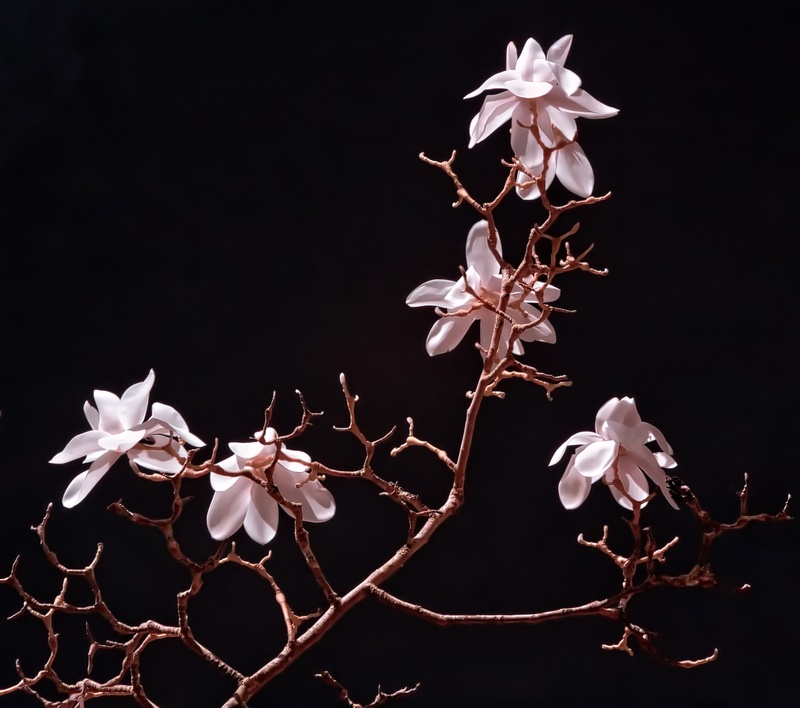 Superb flower photography! Wish I could do that. Beautiful stuff! Very artistic and interesting. First time I’ve seen a fly looking cute! Love the fly on the rock rose. Amazing photo. These are superb. Thanks for the submission. Just stunning. Thanks for sharing! Stunning images! Great use of image stacking, something I’ve never had the patience to try. What wonderful photos! I hope we get to see more in the future! Yes, as all the above commenters have said, these are stunning photos, both artistically and technically. Excellent light, color, sharpness, nice stacking I assume, but the technical virtuosity doesn’t drive the process, your vision drives it. Really good.